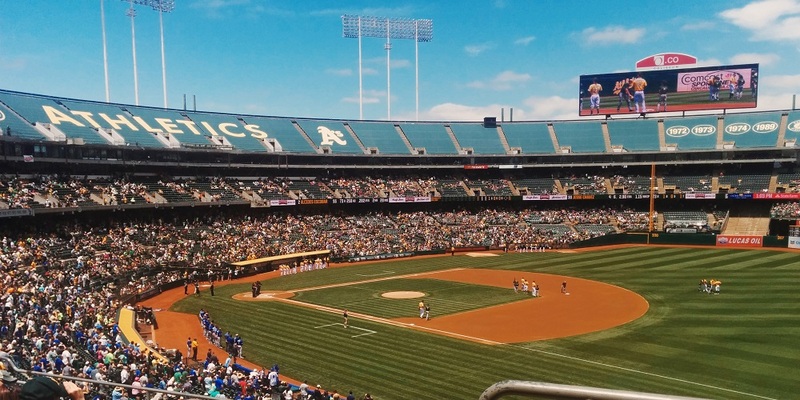 The Dodgers (62-51) are in NorCal for a brief two-game interleague series with the Oakland Athletics (67-46). The A’s are red hot and have won six straight coming into the series opener on Tuesday night. The Dodgers finally got an off day after playing in 17 consecutive games to start the second half. The Dodgers salvaged the emotionally and physically draining three-game set against the Houston Astros with a win in the series finale Sunday, but second-place Oakland won’t be an easy matchup either. They’re coming off back-to-back sweeps of the Toronto Blue Jays and Detroit Tigers. The Dodgers will need Rich Hill and Clayton Kershaw to be at their best in order to squelch a very potent Oakland offense that’s sixth in the majors in runs per game (4.76) and fourth in home runs (153). The two California teams split a two-game series at Dodger Stadium back in April, but both clubs look much different now. The A’s have added Jeurys Familia — who hasn’t allowed an earned run in his eight innings with Oakland so far — to an already tough bullpen that includes Lou Trivino (1.16 ERA) and Blake Treinen (0.95 ERA). The A’s also made a deal on Sunday, acquiring Mike Fiers from the Detroit Tigers to further bolster their pitching staff. Hill (4-4, 3.63 ERA, 4.15 FIP) takes the mound for the Dodgers in the southpaw showdown. The 38-year old veteran has been very good recently and blister-free. He’s 2-0 with a 0.90 ERA and 23 strikeouts in 23 innings in his last four games (three starts). He’s held left-handers to a .186 average and hasn’t allowed a home run to a left-handed batter this year. He’s been using different arm angles, and it’s not only been effective but it’s also fun to watch. Unfortunately we won’t be entertained by Hill at-bats or his cheetah-like pace on the base paths since Oakland is an American League town. Hill has only made one career start against his former team, and that was way back in 2009 when he was with the Baltimore Orioles. He only pitched 2/3 of an inning and gave up three runs and walked four. He certainly doesn’t want to repeat that performance. Hill’s 0-1 with a 7.36 ERA in 3 2/3 innings pitched against the A’s. At the Oakland Coliseum, he has a record of 2-4 with a 4.09 ERA in 10 games (eight starts). No current Oakland player has a hit against Hill. Sean Manaea (10-7, 3.38 ERA, 4.24 FIP) leads his team in wins, innings pitched (141 1/3) and strikeouts (98). He’s held opposing batters to a .220 average, and his WHIP is a mere 1.01. That’s good for eighth-best in the majors among qualified pitchers. Manaea lost to the Dodgers in April, his only career start against LA. He allowed home runs to Corey Seager and Chris Taylor. Manaea came back two starts later to no-hit the Boston Red Sox on April 21 in Oakland. He struck out 10 and walked two on 108 pitches in the no-no. The Dodgers are 9-8 since the All-Star Break. Even with the additional offensive ammo in the lineup with new guys Brian Dozier and Manny Machado, the Dodgers were only able to muster four runs in the three games against the Astros. Machado has two home runs in 17 games with the Dodgers so far, but Dozier has two in his first five games in Dodger Blue. Manny is coming off a three-hit game against the ‘Stros, so perhaps he is settling in and will be the trade deadline Manny the Dodgers need. The Dodgers are depending on Machado and Dozier to step up right now after more injuries have popped up. Matt Kemp is dealing with an ankle contusion, and he will be the designated hitter Tuesday. Yasiel Puig is battling an oblique issue, but he’s starting in right field and batting eighth. The Dodgers placed Alex Wood on the disabled list with left adductor tendonitis, and Ross Stripling is on the 10-day DL with a toe injury. Chase Utley is still on the DL with left wrist inflammation as well. If you haven’t heard, Seager will undergo hip surgery today. The surgery will be performed by Dr. Bryan Kelly. Corey is expected to resume baseball activities in January. The Milwaukee Brewers claimed RHP Ariel Hernandez off waivers after the Dodgers DFA’d him. Hernandez hasn’t pitched in the majors since 2017. The Dodgers traded Zach Neal and Ibandel Isabel to the Cincinnati Reds for Hernandez in April. He had a 2.11 ERA in 13 appearances with Double-A Tulsa, striking out 25 batters in 21 1/3 innings. He pitched in 21 games with the Triple-A Oklahoma City Dodgers, striking out 21 and walking 20 in 25 2/3 innings with a 3.20 ERA. With 49 games remaining in the regular season, the Dodgers are going to need to get healthy and hit a bunch of dongs down the stretch. The NL West race is a three-way battle right now, and I’m starting to get nervous. I like it much better when they’re ahead by 14 games.